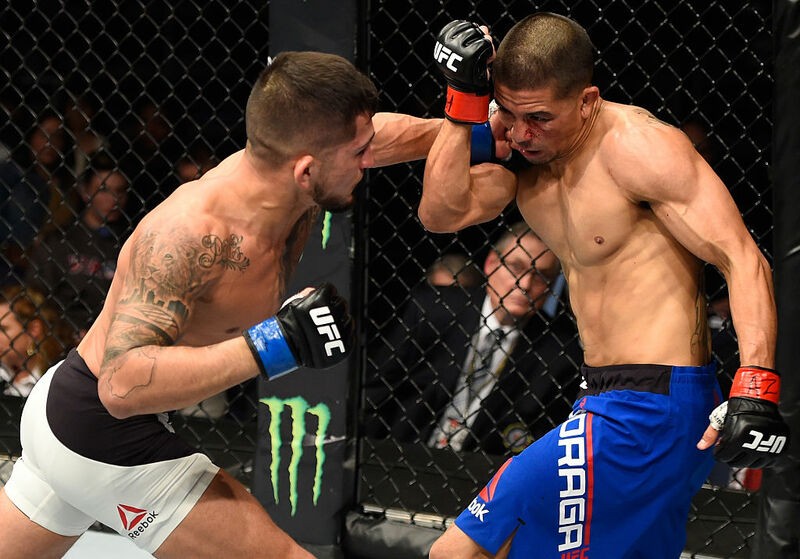 Who were the winners at UFC Fight Night: Rodriguez vs Penn? Click below to get the results for all the fights at Talking Stick Resort Arena in Phoenix, Arizona on Sunday, January 15, 2017. Yair Rodriguez was every bit as spectacular as he’s been billed to be, finishing the legend BJ Penn by TKO at :24 of the second round. Rodriguez landed a staggering 55 significant strikes in under six minutes of work. The finishing sequence began with a front kick that landed directly on the chin of Penn. From there Rodriguez swarmed and finished with a blinding flurry of punches before the referee saved Penn. Rodriguez has now won six in a row, which is the third-longest active streak in the division. In a razor close split decision, Joe Lauzon won on two judges’ scorecards for the victory, 27-30, 29-28, 29-28. 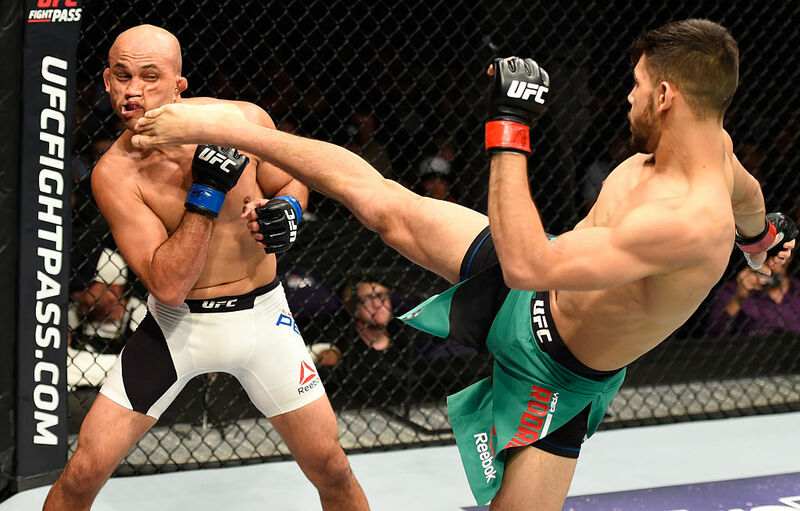 Lauzon said after the fight that he didn’t feel he did enough to win the fight, but the judges saw it differently. Held scored five takedowns in the fight and controlled Lauzon for 8:30 of the fight, but landed only 23 significant strikes and didn’t attack with a single submission attempt. Lauzon had a nice armbar at one point but Held, the Brazilian jiu-jitsu specialist, stayed patient and survived. 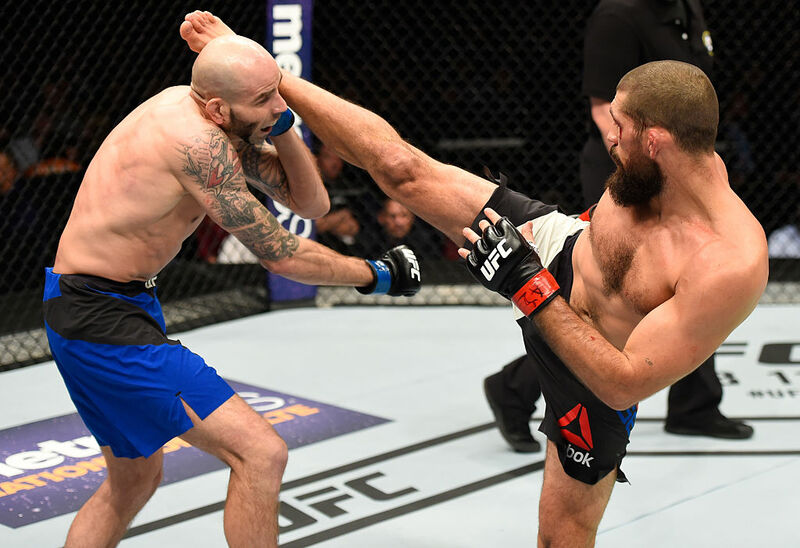 Court McGee outlanded Ben Saunders, 90-74, and landed the only takedown of the fight, leading to 3:48 of control, but Saunders earned the unanimous decision, 29-28, 29-28, 29-28. Sergio Pettis extended win streak to three in a row after taking out John Moraga by unanimous decision (29-28, 29-28, 30-27) to open up the main card. Pettis is quickly climbing the rankings of the flyweight division and tabbed No. 4-ranked Jussier Formiga as his hopeful next opponent after the bout. Pettis’ striking looked crisp and precise against Moraga. The Milwaukee native rocked Moraga in the first round and ultimately outwrestled and out-struck the hometown kid. Drakkar Klose took out Devin Powell by unanimous decision, 30-27, 30-27, 30-27. In his UFC debut, Klose landed two takedowns, controlled Powell for 8:21 of the fight and landed 68 significant strikes to just 22 for Powell. 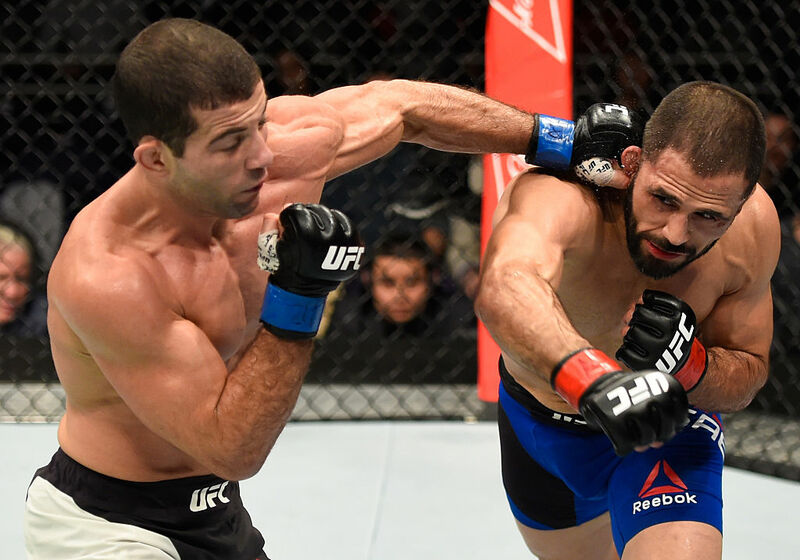 Augusto Mendes took a short notice fight against current bantamweight champion Cody Garbrandt to get his big break in the UFC. He lost by first round KO for his first loss of his career. But with a full fight camp, Mendes came back strong to take out Frankie Saenz by split decision, 29-28, 28-29, 29-28. Both guys rocked each other at different points of the fight. But Mendes did enough in the end to earn the win, out-landing Saenz, 67-57 in total strikes and landing the only three takedowns of the fight. 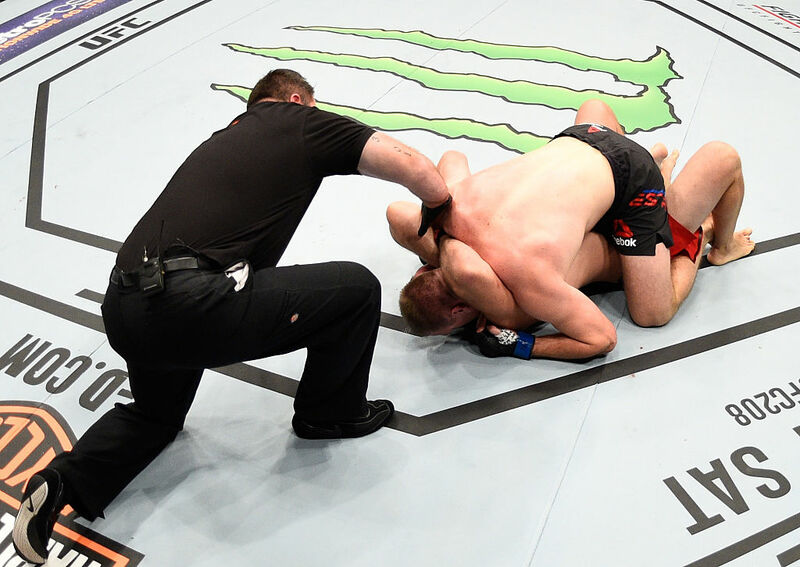 Aleksei Oleinik pulled off the first Ezekiel choke in UFC history when he made Viktor Pesta tap at 2:57 of the first round from the bottom full mounted position. Pesta was trying to land punches from top but once Oleinik grabbed ahold of the neck he slowly tightened the grip until he could force Pesta to tap. Oleinik improves to 3-1 in the UFC and 51-10-1 overall. Tony Martin dominated the action against Alex White, using two takedowns and 12:31 of control to cruise to a unanimous decision win, 30-27, 30-27, 30-27. FIGHT PASS customers: Watch the prelims right here! | Don’t have FIGHT PASS? Free preview this weekend! 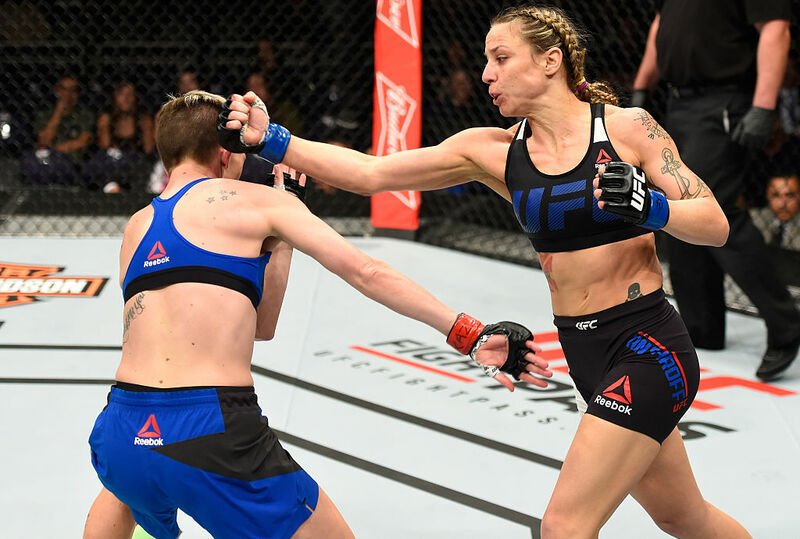 Nina Ansaroff had major expectations heading into her UFC FIGHT PASS featured bout against Jocelyn Jones-Lybarger after her girlfriend and bantamweight champion Amanda Nunes predicted she’d be strawweight champion one day. Ansaroff lived up to the hype though, working Jones-Lybarger over before submitting her in the third round by rear naked choke at 3:39 of the third and final round. The submission ranks as the third-latest finish in UFC strawweight history. Ansaroff spent 8:01 of the fight in top control against Jones-Lybarger and landed 48 significant strikes to just 21 for the JJL. 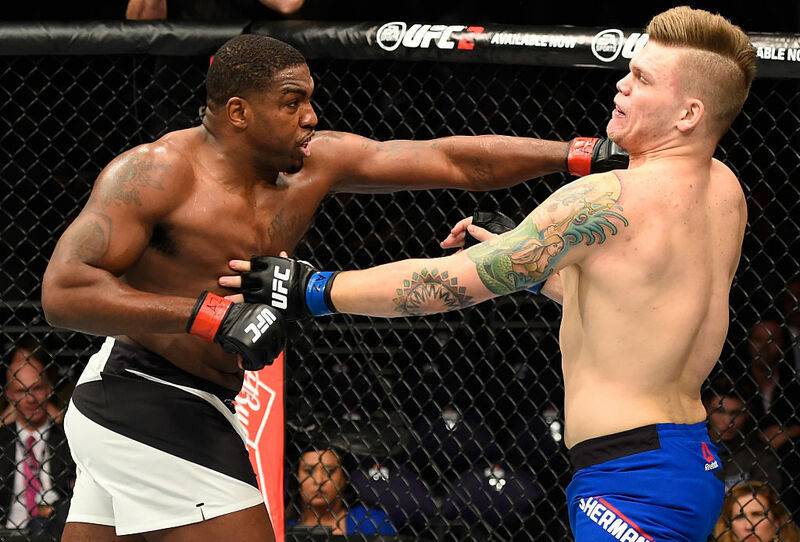 With perhaps his most impressive win to date, Walt “Big Ticket” Harris landed a picture-perfect left hook on the end of a four-strike combo to send Chase Sherman to the mat. Harris won by KO at 2:41 of the second round. 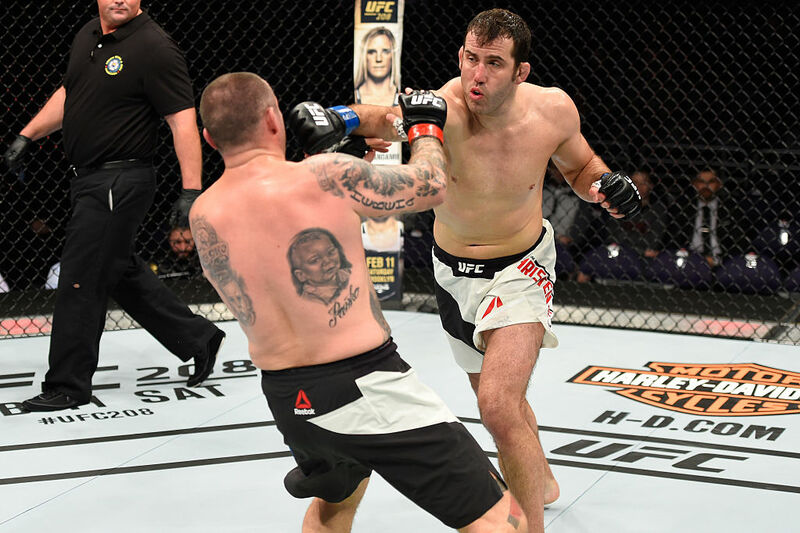 Harris was teeing off on Sherman at different points in the fight, but the tough “Vanilla Gorilla” hung in there and took everything Harris had to throw. But as the punches and kicks started adding up – Harris landed 36 significant strikes in fight – Sherman couldn’t withstand anymore. Harris set up the KO blow with a left-right and knee before the final blow. 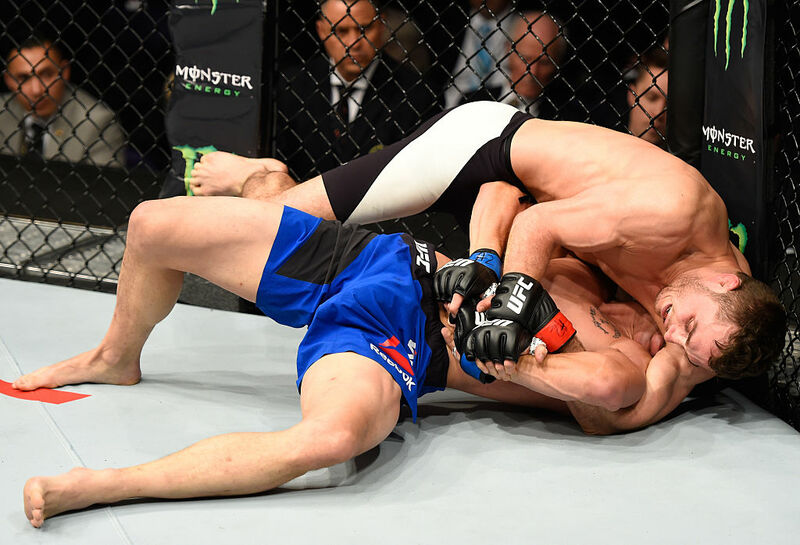 Joachim Christensen landed a titanic right upper cut on a charging Bojan Mihajlovic to put the Serbian’s lights out. Christensen wins by TKO at 2:05 of the third round. Christensen landed 139 of 199 total strikes at an impressive 70 percent clip. Christensen improves to 14-4 and picks up his first win in the UFC after dropping his debut fight. 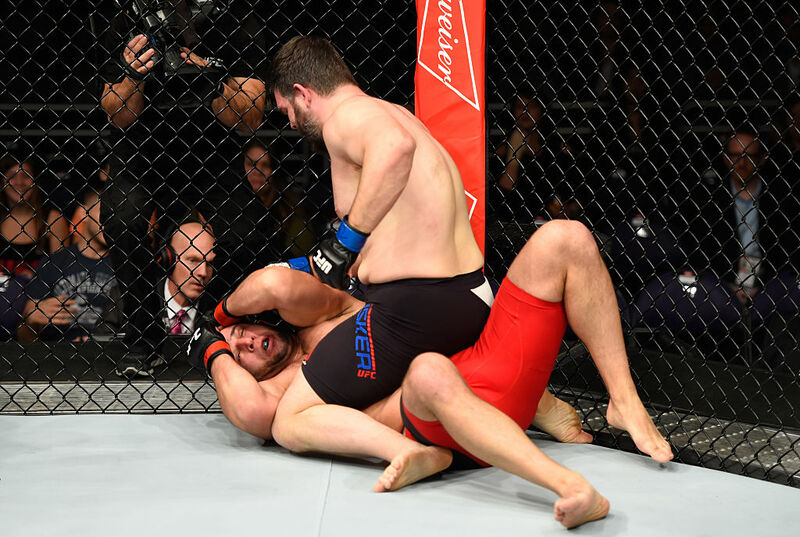 It was Dmitrii Smoliakov who was the decorated freestyle wrestler, but Cyril Asker was the one who landed a takedown early in the fight that led to the eventual stoppage by TKO at 2:44 of the first frame. Asker was landing a barrage of punches from mount, finishing with 39 total strikes (19 significant strikes). 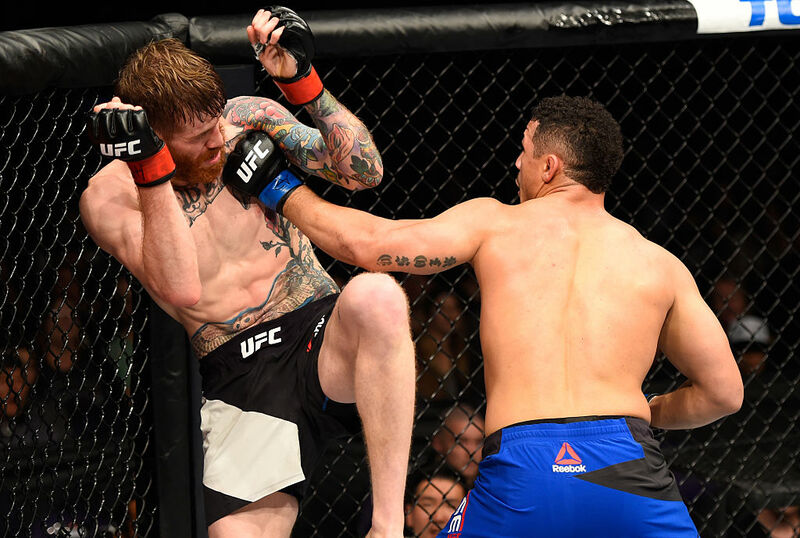 Asker improves to 8-2 and picks up his first UFC win after losing in his debut.